​​Buddy Hield outscored the ​Detroit Pistons by himself towards the tail end of their heated matchup on Saturday night at Little Caesars Arena. With Detroit reeling, Hield and the Kings took advantage and extended their surprising start to the season. 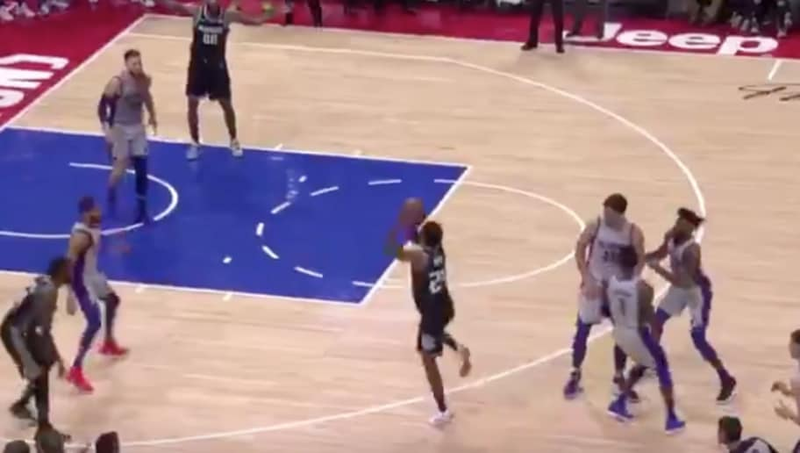 Hield drilled this outrageous off-balance 3-pointer to give Sac-town the win on the road. Hield was acquired in the DeMarcus Cousins deal and was heralded as the next big star in Sacramento by management. While Hield has yet to deliver on that All-Star status, he's an intriguing young player not afraid of the big moment. Now, we're all watching.